Remembering Anna Jane Kemper | Remembering Anna Jane Kemper | De Soto Obituary Search | Dietrich-Mothershead Funeral Home, Inc. Remembering Anna Jane Kemper | De Soto Obituary Search | Dietrich-Mothershead Funeral Home, Inc.
Anna Jane Williams Kemper was born in Ware on November 28, 1930 a daughter to Thomas M and Stella Agatha (nee Bahr) DeGonia. 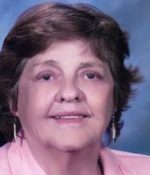 She died on April 2, 2015 at Mercy Hospital Jefferson at the age of 85. She is survived by her husband; Harold Kemper of De Soto; two daughters: Becky (Ed) Millinger, Ste. Genevieve and Kelly Thréanfhir of Ireland; two sons: Frank M. (Jackie) Williams, Mt. Vernon, IL and Steven T. (Joan) Williams, Columbia, MO; five grandchildren: Rachel Millinger, Sara Williams, Emily Williams, Matthew Williams, and Ana Britt Nolan; one sister: Delores (Bill) Hulett, St. Louis; and two brothers: Joseph M. DeGonia, Riverside, CA and John T. (Arlene) DeGonia, Festus. She is preceded in death by her parents; her husband: Frank C. Williams and one sister: Elsie May DeGonia. 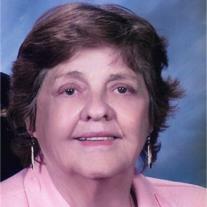 She was a homemaker and a member of First Baptist Church-De Soto. Bro. Jimmie Turner will officiate the funeral service.